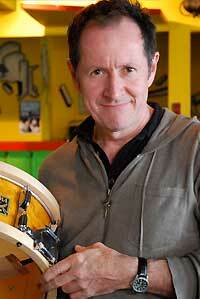 Gary Craig is a Toronto based drummer/percussionist, who has worked with a variety of artists since 1978. Since 2009 Gary has been a part of John McDermott's band, involved in the recording of the cd "Journey's" and touring the rest of 2009. John and the band are currently performing throughout the rest of 2010. Starting in 1984 Gary began performing live and working in the studio with Anne Murray (24 years), and during that time has also worked with Bruce Cockburn, Tom Cochrane, Jann Arden, Colin Linden, Blackie and the Rodeo Kings, Stephen Fearing, Kathleen Edwards, Lawrence Gowan and Gregory Hoskins among others. He has also had the pleasure to record and perform with many Canadian country music artists including Terri Clark, George Canyon, The Wilkinsons and Aaron Lines.